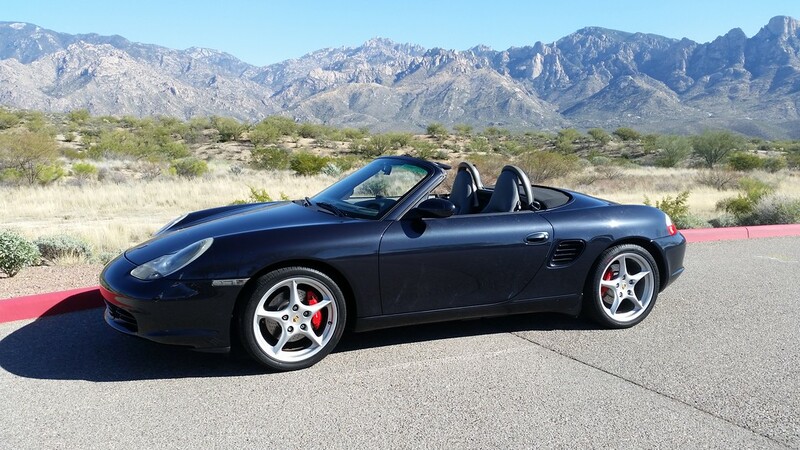 My 2004 Boxster S. I bought it last February in Arizona and just drove it back to Colorado last month. My first Porsche and am really loving it. Nothing like a 1000 mile drive through the mountains to make a believer! It's paint is Atlas Grey Metallic. Congratulations! Welcome to the addiction. Rare color...I just can't make it out very well from the picture. It sort of looks blue to my feeble eyes. Many years of good driving and luck! Depending on the light can look dark blue. Here is one that's more blue. Great looking car, I love the 5-spokes! 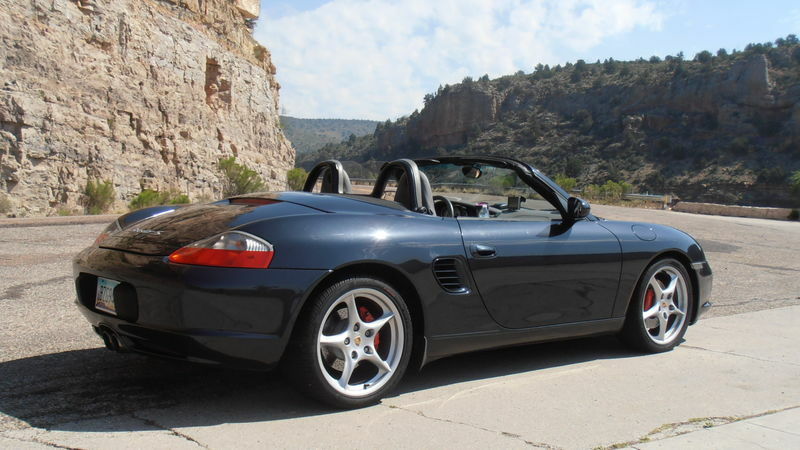 Those are the best wheels for a Boxster. But then again, I am biased.